I don't know if you've noticed, but I have a lot to say. So much so that I've been thinking over the last weeks about expanding my presence online. It's not that I think my views are better than anyone else's - okay, maybe that's part of it - it's just that I would like to take what I say on the blog and reach a larger audience. To do this, I'll be adding a podcast (to come out whenever I really care to record one) to the Inciting A Riot family of opinionated media outlets. It's over at Podbean, and can be found here. The first episode shall come very soon (hopefully within the next couple of days). So, look for me! As soon as iTunes picks it up, I'll post the link to the subscription. 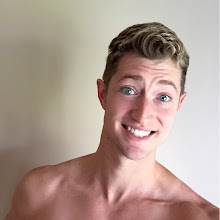 However, you can go ahead and vote my podcast up the ranks of the Religion and Spirituality section at Podcast Alley by clicking here! The podcast will follow in the same vein as the blog, covering news, religion, and the lunacy of life. 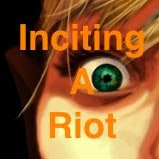 Inciting A Riot: The Blog will still be the home of everything me, including the podcast episodes. So, tune in and let me know what you think!